Street art seen at a station of the local power supply company near the old city wall of Erfurt. I suppose these two guys are astronauts or – speaking in terms of East Europe – cosmonauts. 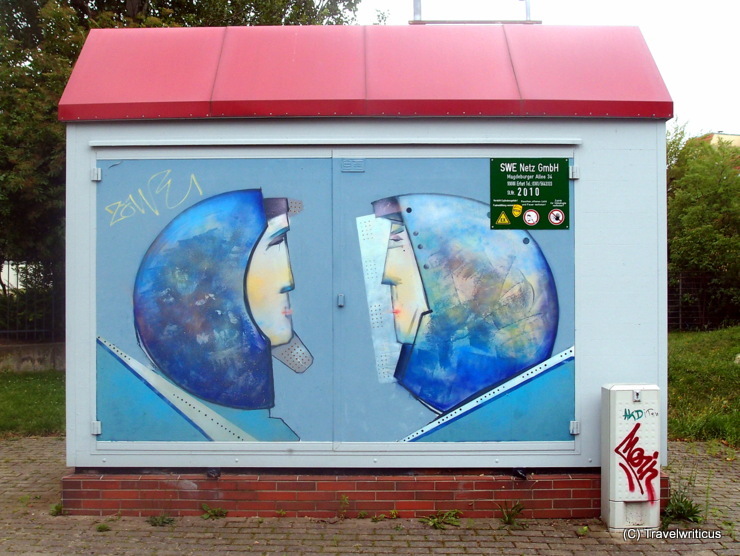 It happens to be I came across more than one time such depictions of cosmonauts in Erfurt.